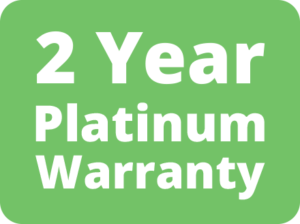 Have peace of mind and complete confidence in your purchase with our 2 Year Platinum Warranty customer service. However, this warranty does not cover damage on our home massage chairs in a commercial environment or damage caused due to misuse, abuse, incorrect assembly, modifications, improper and irregular maintenance, accident or collision. Damage caused as a result of incorrect assembly. Misuse, neglect or abuse of the goods. Damage caused from improper storage. Any use of toxic/damaging cleaning products that are not specifically recommended. Fair wear and tear on coverings. Non reported issues that have escalated from minor to major.